Pope Francis Says There Is No Hell and No Punishment? 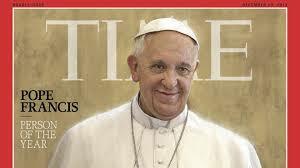 Pope Francis is one of the best popes known from history. Sadly, there is a great deal on the internet that circulates false quotations from him. I’ve selected a few of them here because they represent what popes of the future may very well say. Although the citations are not from his mouth, he still is a man who embraces inclusiveness not difference, love not divisiveness and judgment. We are privileged to have him in our world. He will make a great difference to the 1.2 billion and more Catholics registered in 2013, and to even more people as a spiritual all-faiths leader. Below is what we all wish Pope Francis had said. All these quotations are wrongly attributed to him.